This code is based on a post from the buddypress forums tested on Buddypress 2.9.2 ( forum states its compatible from BP 2.6+). 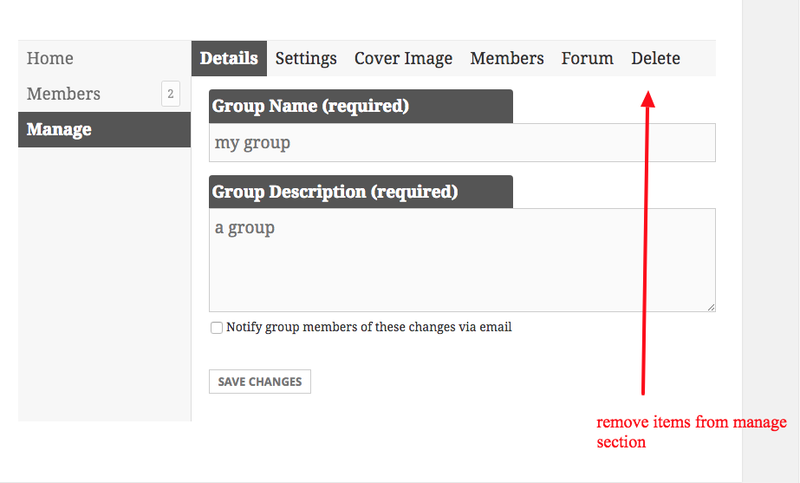 In this example we remove the Delete tab and also permission so that user can’t try and goto the url to access it. Note there are numerous other examples / versions of this code scattered about the bp forums that dont work as function bp_core_remove_subnav_item now requires the extra param (see code below).